Summary: A new study from Louisiana State University reveals that cherry juice can help increase sleeping time for adults. 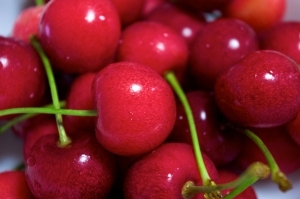 14.08.04 - Cherries: The New Superfood? (NaturalNews) According to the CDC insufficient sleep is a public health epidemic. The CDC warns that people who are struggling with sleep deficiencies are at risk for serious, debilitating, chronic diseases and even death from: "hypertension, diabetes, depression, and obesity, as well as cancer, increased mortality, and reduced quality of life and productivity." The CDC estimates that approximately 50 to 70 million US adults suffer from some form of sleep or "wakefulness disorder". Most health conscious consumers do not realize that supplemental melatonin is a synthetic hormone that carries a full array of not only mildly unpleasant side-effects like grogginess upon awakening or dizziness, but also potentially lethal side effects, like "inhibited thyroid function and vasoconstriction of the brain, organs, and heart and more." In Dr. Daniel F. Kripke's book The Dark Side of Sleeping Pills, Mortality and Cancer Risks, Which Pills to Avoid & Better Alternatives Dr. Kripke cautions that sleeping pills are extremely dangerous and could hasten an early death from cancer, heart disease, or other serious illnesses. New research from Louisiana State University revealed that consuming Montmorency tart cherry juice twice a day increased sleeping time for adults with insomnia by 1.5 hours. Montmorency cherries are rich in melatonin a hormone made by the pineal gland housed in the brain. Melatonin's primary function is to regulate sleep-wake cycles via light and darkness signaling. Low levels of melatonin can cause sleeping difficulties for some. Lead author Frank L. Greenway, MD, and his colleagues wanted to know if melatonin alone was responsible for the sleep enhancing benefits in Montmorency cherries or was there something else. They wondered if the abundant Proanthocyanidins found in cherry pigments was also a factor. The researchers discovered that the study participants who drank two glasses of Montmorency tart cherry juice daily, one in the morning and one glass in the evening "were able to sleep more than an hour longer each night (averaging 84 minutes) compared to the placebo, and their sleep tended to be more efficient."